I didn’t really believe in blush until I finished cosmetology school. I guess it’s because I would see several people at the mall or in public with blush all over their face. Maybe they applied the wrong shade, or they didn’t know how to blend it, but needles to say, I was not a fan. Then I learned what a difference blush makes! I absolutely love a good rosy cheek for a day or evening look. One of my holy grail blushes is Tarte’s cheek stain. This little bottle has a little bit of heaven in it. At first, I was surprised by how well it would work because it isn’t like your ordinary blush that has a powdery consistency. 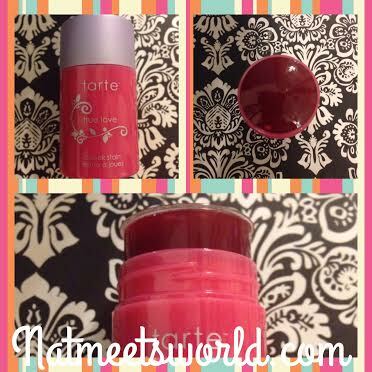 Tarte cheek stain has a ‘wet’ consistency (kind of like a lip balm, but with a higher color pigmentation of course). Left: This is the Real Techniques brush that I use to blend the pigment. Top right: This image reflects step 1. Bottom right: This is the finished product. 1. Smear desired amount of color on the apples of your cheeks. 2. Using a good brush (I like the real techniques face expert blush) blend the color on your cheeks to your desired shape. Don’t forget to focus blending on the outer edges of where you placed your color. Also, make sure you are smiling when you do this so that the apples of your cheeks are the focus of where your color lays. 3. 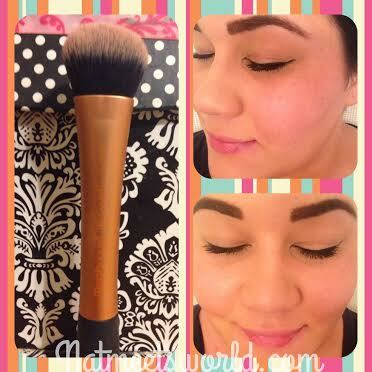 If you feel you have blended too much, and you want more color, repeat steps 1 and 2. 4. Wink at yourself in the mirror, because you look beautiful! Tarte cheek stains are available in several colors ranging from a deep purple for dark complected skin, several shades of pinks for all skin types, and even a deep red shade which can be used for all skin shades as well. For my skin color, I absolutely love the shade called true love (a pretty pink shade) and Flush (another pretty pink with a hint of red). Since Tarte is an organic company (which I absolutely love), their cheek stain is packed with benefits like acai, acerola, goji berry, maracuja, and pomegranite extract. This product did not receive such great reviews on Sephora.com, which was a little surprising to me since I love it so much. In my opinion, it may be difficult to convert fro a powder blush to a ‘wet’ blush, and, some people may not know how to properly apply it which can make for bad reviews. You know what they say, to each is own. Disclosure: All experiences and comments are my own.